Witchy Words: January 2016 Personal Update: Holidays, Drunk Divination, Pets. 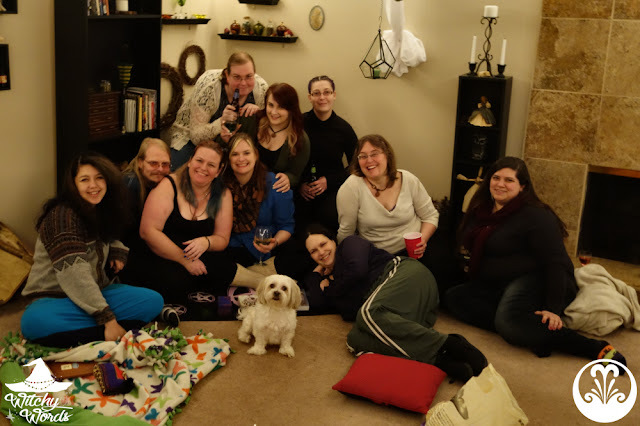 January 2016 Personal Update: Holidays, Drunk Divination, Pets. Gosh, I feel like I've spent the whole first two weeks of the year talking about myself. I know, I know, it's my blog. But it's not how I like to run it. That being said, I always do a monthly update about my personal life sometime in the first few days of the month and that was kind of overshadowed by the goal posts. So here's what I've been up to since we last chatted. Last I checked in, I'd been having some GI issues. One morning I woke up and realized I'd lost seven pounds in six days and was on the more severe end of dehydration since my body wasn't letting me keep even just water down. It forced me to go ahead and make a doctor's appointment, though I'm not sure it did much good. They could never identify the cause. By the last couple of days in December, I was more or less back to normal. However, now, I can't do peanuts or spice, which is a new intolerance to add to my list. My diet is already extremely restricted. I didn't need help with it! But at least I'm feeling better. That's what matters. My husband and I spent Christmas Eve with his parents where we attended mass at his dad's church. I truly don't mind Christmas Eve mass. I never chose paganism in retaliation to Christianity anyway, and generally enjoyed church as a kid. I actually really like his dad's church; it's where my husband and I were married eight years ago and the new pastor is an absolute delight. I always poke my husband that he should consider attending at least semi-regularly, but that's got to be his decision. Still, the service was lovely and hilarious and wonderful, and I always love all the singing. It was a little awkward not accepting communion - I think I was the only one that didn't. Aaron's parents still don't know, though I think they suspect. We're all just too polite to say anything. I blamed it on my immune system, which isn't wrong, and we all did our thing. Christmas day was spent with my parents, where even Artie gets to come along and partake of the huge meal my mom always makes. Christmas at my parents' house is far more laid back. My parents rarely even put out a tree, although this year, they have the fake palm tree that my aunt had at her house back in Florida, all wrapped in lights. It's kind of hilariously out of place here in Kansas City, but I love it nonetheless. After dinner, we watched a movie and went home. That was about it! For Yule/Christmas, my husband got me a HUGE selection of Christopher Elbow chocolates. Too bad I was so sick I haven't been able to eat many of them until recently! 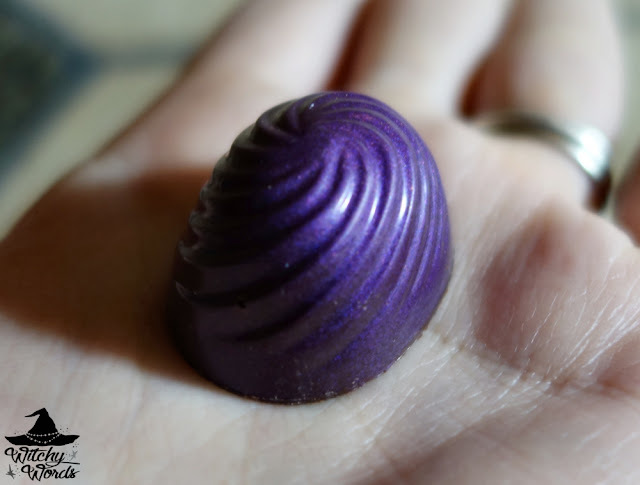 But the thing about Christopher Elbow chocolates is that they're just as beautiful to look at as they are to eat. And the flavor combinations they have are amazingly delicious. Passion fruit. Rosemary. Yuzu. Earl grey tea. Or how about lavender? LAVENDER. Have I mentioned that lavender is my favorite flavor for everything ever? It's all about the lavender. 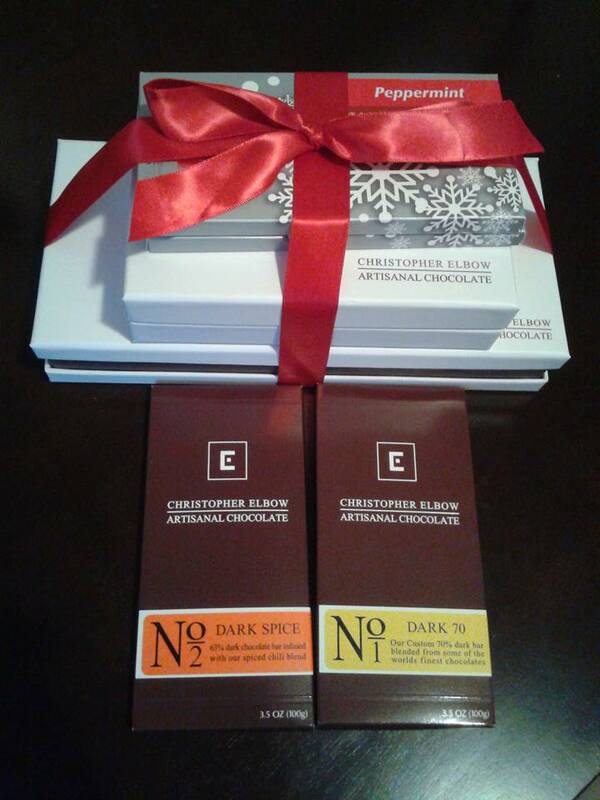 The thing about Christopher Elbow chocolates is that they're local, located right here in Kansas City. I was first introduced to them when I did an introductory class on paganism and Wicca for a home school group. I've been in love ever since. We had our first snow of the year towards the end of December. It was gorgeous. For those that don't know, I am not in any way shape or form a winter person. 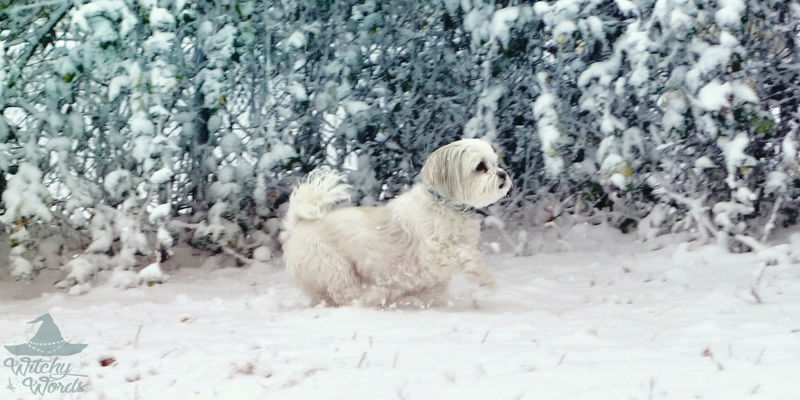 My dog, however, loves the snow. 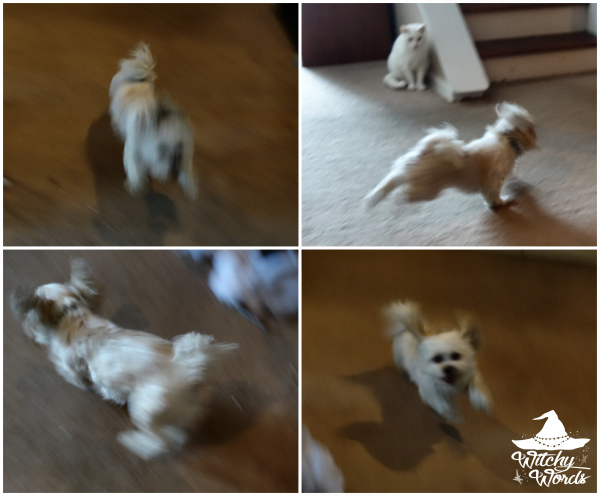 The picture above makes him look so much more majestic than what actually happens. Our New Year's Eve was spent very low key. 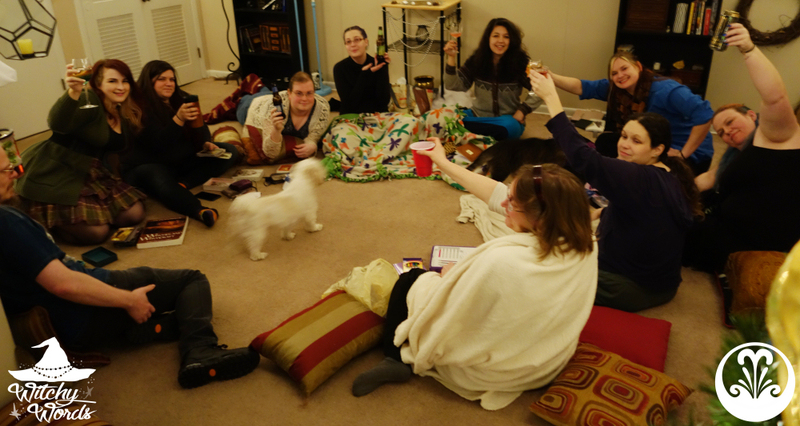 A few of the circlemates and I got together at Phaedra's home for a PJ-themed evening of games and movies. It was honestly a ton of fun! Of course, not everyone made it till midnight. 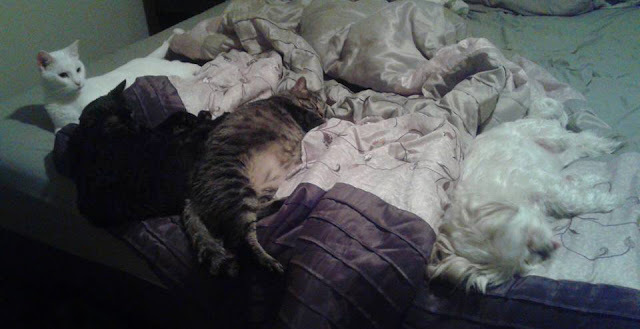 We did wake them up just before time, but I couldn't help but snap this one. Even my husband joined us for our festivities. So did Artie! 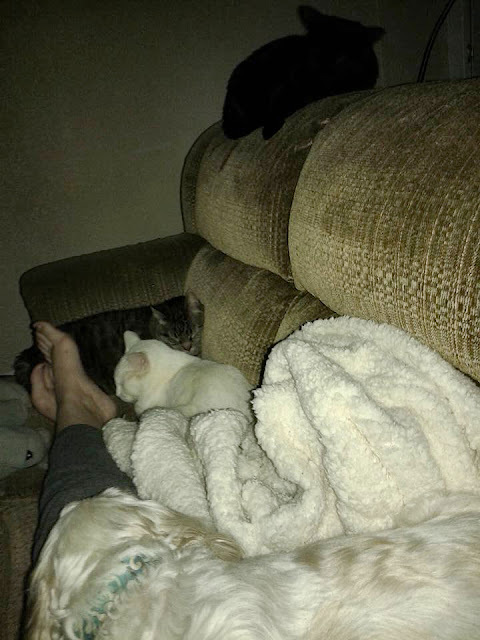 Honestly, I'm all for going out and having a huge party on NYE, but I also definitely appreciate ringing in the New Year with a handful of my favorite people, my husband and my dog, and then immediately passing out on the couch and not having to drive home. Good times! 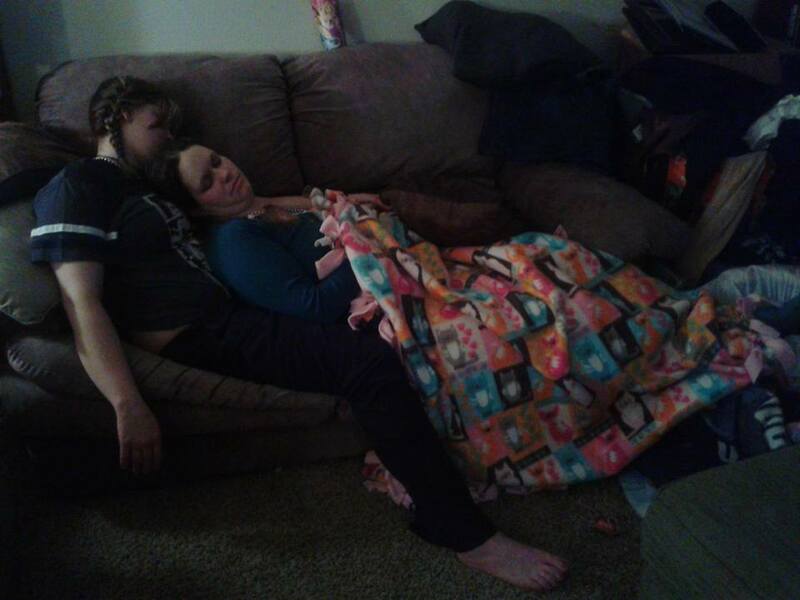 In the morning on New Year's Day, we went for a little hangover treatment and this happened. 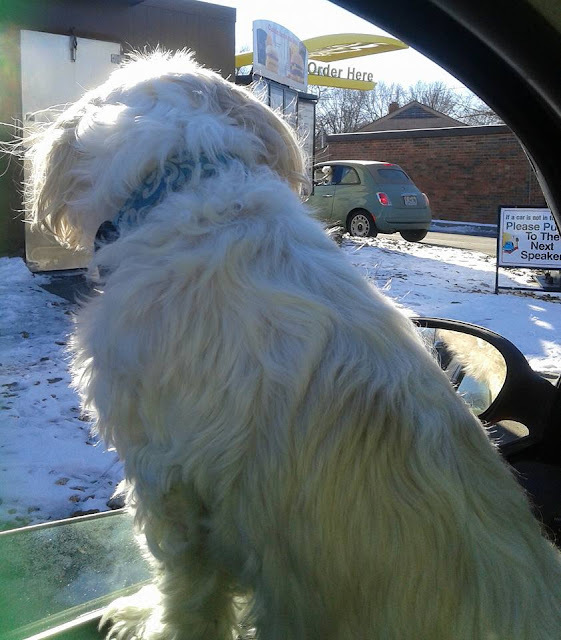 In case you can't see it, there's an Artie dog in the car ordering. They shared a moment and it was adorable! 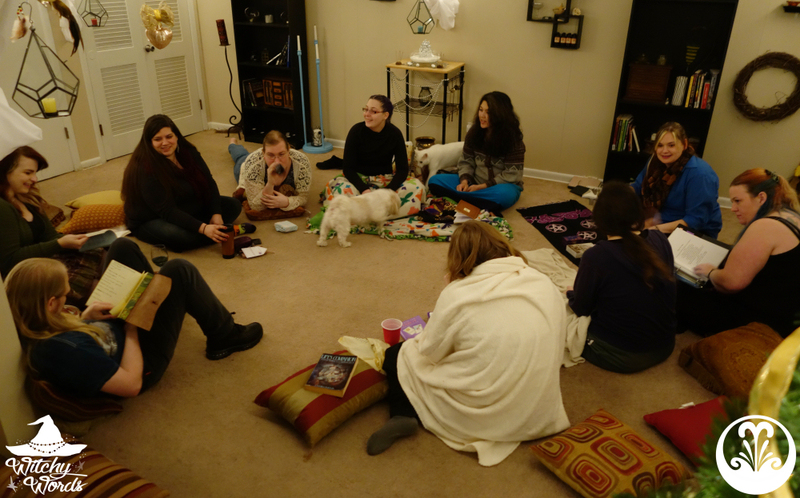 Because the whole circle couldn't get together for NYE, I hosted a Drunk Divination night the Sunday afterward. 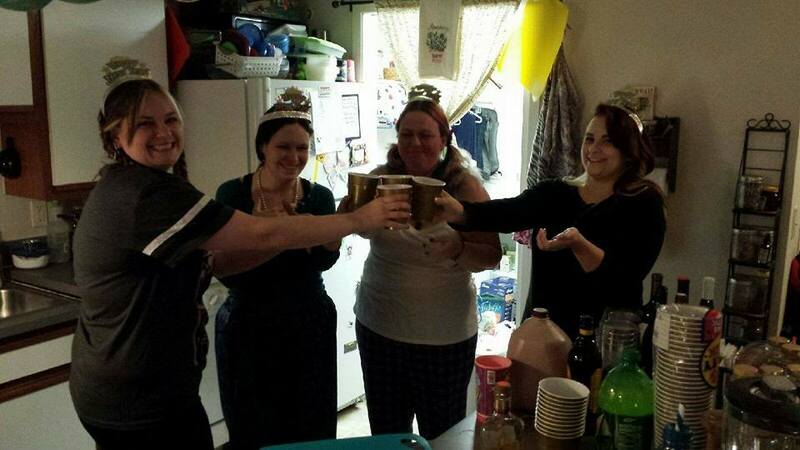 Drunk Divination has become a staple in our group. This isn't our first or second one but it also hasn't been something that has a recurring schedule. I'd kind of just been scheduling it when circlemates asked about it. After the January 3rd one, everyone implored me to make it a monthly thing, so I'm super excited for that! 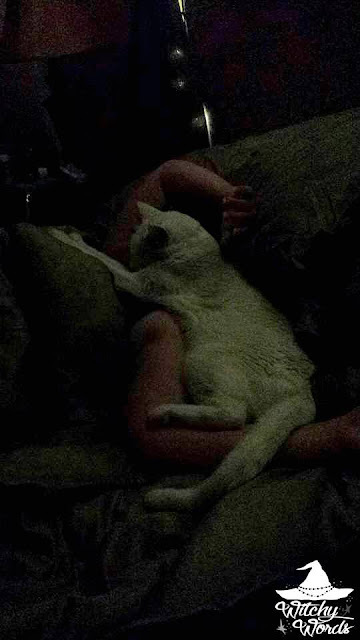 How is Apollo still on the bed? Cat physics. Since then, we've just been laying low. I've been working on my goals as has my husband. Commissions and gigs have been coming in but the past week and this current week have been, with a few exceptions, fairly clear. 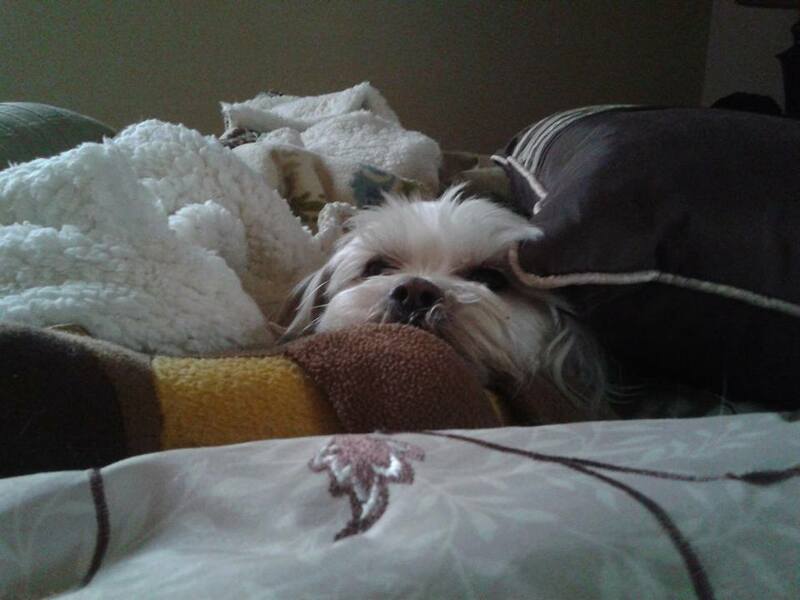 didn't think anything because I was totally asleep. We did have our first major issue with the house over the weekend. It got to something-or-other below zero and we had a pipe freeze. After some confusion, the frozen pipe was found, but neither myself nor maintenance could find it on our own. It took a plumber cutting out a wall in the theater to discover it. It's all fixed now. We're lucky I brush my teeth at 6 in the morning and discovered it then or we might have ended up with a burst pipe. Instead, it was a fairly simple fix, aside from cutting out part of the wall. Even that's been repaired as of today though. My home. My counter. My feet. My rules. Other than that, we've been trying to get back in the habit of making food at home after living off of fast food from the moves and craziness of the holidays. 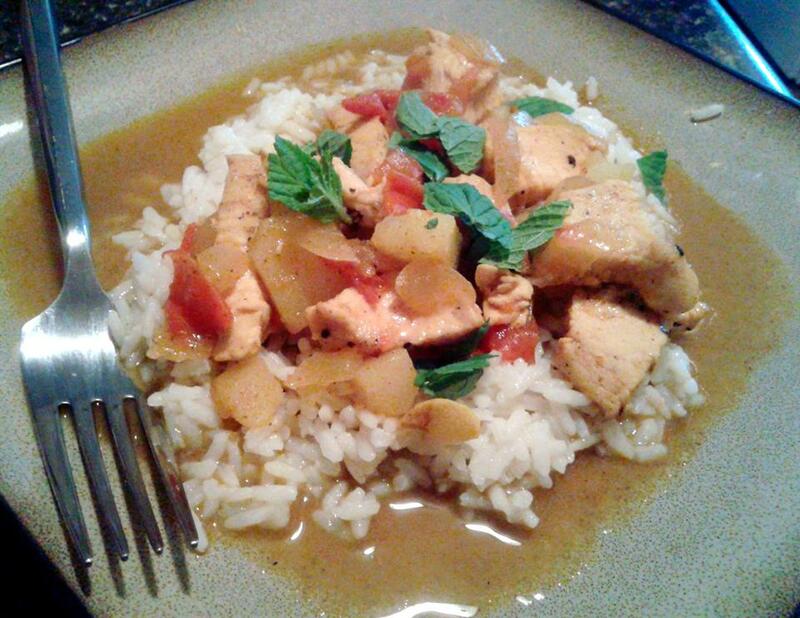 My husband cooks better than I do, and he's been making some amazing stuff! Chicken curry with mint (pictured above). Homemade pho. Blackened salmon. The man can cook. In the meantime, I'm just happy when I can flip an over easy egg and not break the yolk. And that sums up the holidays at Witchy Words! 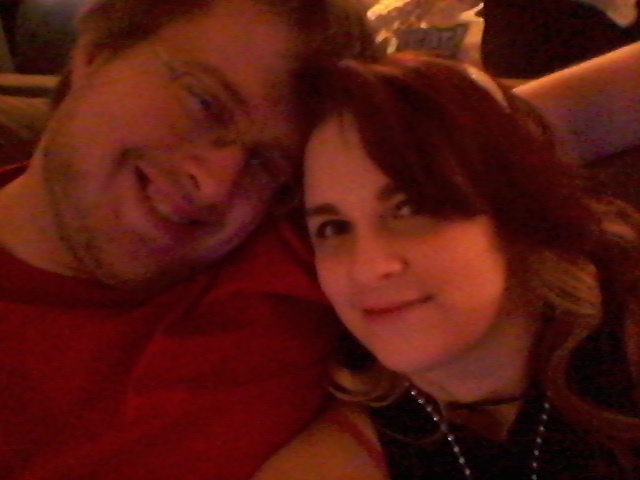 I hope everyone had a fantastic New Year. Here's to more to come in 2016! Thank you so much! The ex-roommate's involvement with our circle seemed to end when I officially gave him notice to move, sadly. I had a feeling it likely would, if nothing else but for the fact that he had to move back home two hours away and doesn't have a car to get here anyhow. I think the primary issue, though, was that he took having to move out really hard. Thanks so much, Marietta! Yes, I do too. I only realized this in January 2015 and was so lucky to find my circle. Evolving as a group and as individuals is the way to go! You have so many pets! This is amazing! 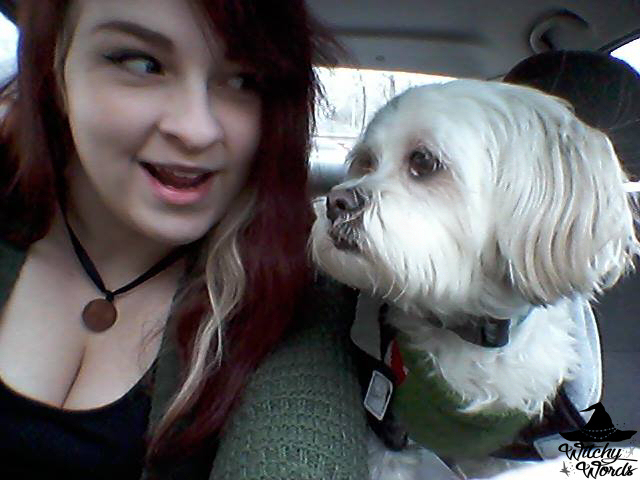 I love little domestic animals and the joy they bring to our life. Little children try to write the essay about their pets and remember all funny situations connected with them. Our houses are empty without our cats and dogs and we're less happier.